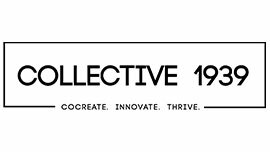 As an event venue, Collective 1939 can hosts 200+ with roll-up doors perfect for food trucks, 30-foot ceilings and open warehouse space support a fun and creative environment. In-house production services available at an additional fee include DJ’s, projection mapping, projector use for movies, operations and logistics, marketing and event materials. We are a 6,000 Square Foot Coworking and Creative Space located just a block from the trolley station and off CA-52 at Cuyamaca exit in East County San Diego where Santee, El Cajon and San Diego borders meet. The building has WIFI, Security Cameras, Day and Night Access, Kitchenette, Restroom, 2 Roll-Up Doors opening to the mountain views. In-house creative services are available to members at special rates providing digital media and production.